Nelson Mandela Bay Giants should manage to get the better of the struggling Durban Heat. With five losses in six matches, the Durban Heat are all set to finish among the bottom three unless there’s a miracle that lifts them ahead of the other teams. The Durban franchise has to win all the remaining four matches that too by a bonus point to have a shot at making through. Rashid Khan’s inclusion will boost the underperforming Durban team but he can’t do all of it on his own without support from other departments. The first of their four must-win matches will be against Nelson Mandela Bay Giants who are placed at third with four wins after seven matches. The Giants are coming from a big 81-run defeat against Jozi Stars which was their second defeat of the tournament. The Bay Giants will regain the services of Jason Roy for the final stages of the tournament but that will unsettle their batting line-up. The 22nd match of the Mzansi Super League will be played between Durban Heat and Nelson Mandela Bay Giants at the Kingsmead in Durban. The match starts at 7:00 PM local time (5:00 PM GMT) (10:30 PM IST). The Kingsmead has been under clouds throughout this tournament. Two of the three matches played in this tournament here have been affected by rain. The last game played here between Durban and Paarl turned out to be a 9 overs-a-side affair. The ground is better suited for chasing and expect scores over 150. Hashim Amla, Rashid Khan, David Miller, Heinrich Klaasen, Kyle Abbott, Keshav Maharaj, Khaya Zondo, Albie Morkel (C), Marchant de Lange, Vernon Philander, Brandon Mavuta, Temba Bavuma, Morne van Wyk, Okuhle Cele, Sarel Erwee, Tladi Bokako. JJ Smuts (C), Imran Tahir, Jason Roy, Chris Morris, Junior Dala, Christiaan Jonker, Aaron Phangiso, Ben Duckett, Sisanda Magala, Ryan McLaren, Heino Kuhn, Marco Marais, Dyllan Matthews, Lizaad Williams, Rudi Second, Carmi le Roux. Albie Morkel (C), Sarel Erwee, Morne van Wyk, David Miller, Heinrich Klaasen, Khaya Zondo, Vernon Philander, Kyle Abbott, Keshav Maharaj/Brendon Mavuta, Rashid Khan, Tladi Bokako. JJ Smuts (C), Jason Roy, Marco Marais, Ben Duckett, Heino Kuhn/Christiaan Jonker, Rudi Second, Chris Morris, Aaron Phangiso, Junior Dala, Sisanda Magala, Imran Tahir. Sarel Erwee, who was included in place of Hashim Amla in the previous game is quite an inconsistent player in this format. The left-hander has the ability to make big runs but more often falls cheaply. Same is the case with Bay Giants’ opener, Marco Marais. Morne van Wyk, Jason Roy, David Miller, Khaya Zondo, Marco Marais, Chris Morris, JJ Smuts, Rashid Khan, Imran Tahir, Kyle Abbott, Junior Dala. 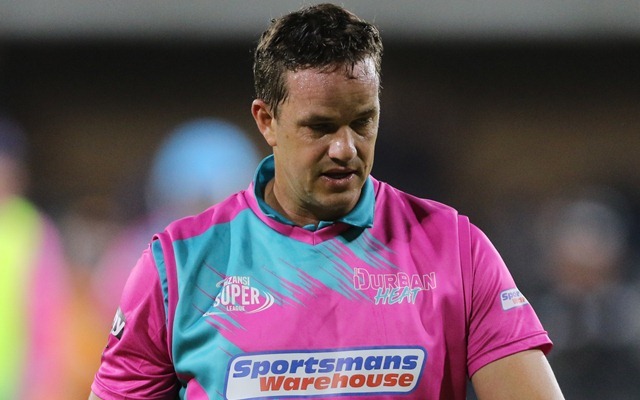 One of the two International players Chris Morris and Rashid Khan can be considered for the vice-captain role while JJ Smuts or Morne van Wyk are your captains. Vernon Philander can also be a decent option for one of the multiplier options as well. After a string of poor performances, Hashim Amla was dropped from the playing XI and is unlikely that he will return as all their matches now on are do-or-die. Roy and Rashid are set to make their MSL debut and both of them are high impact performers.